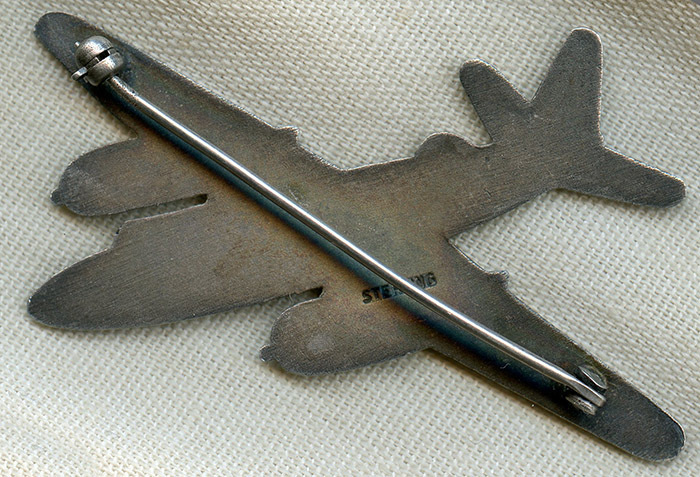 ARTIFACT: This is a stunning, large and heavy sterling silver and enamel Martin B-26 Marauder bomber aircraft badge from World War II. Dubbed the �Widowmaker� due to its high accident rate, the Marauder was made by the Glenn L. Martin Company and was pulled from service before the United States Air Force was established in 1947. The badge was most likely presented from the factory. CONDITION: 7 (Very Fine): The pin shows minor to moderate surface wear and areas of tarnish, nearly all enamel details remain intact. Wonderful, Rare, WWII Glenn L. Martin Aircraft Co. Back Patch for Work Coveralls, Flight Suit, Etc.